It was an icy November evening in 2010, exactly 7 years ago today, when my best friend and I hopped on a plane to London from Milan. I had spent the past ten years living in Northern Italy, literally all of my adult life, and this was the beginning of a new chapter. We landed shortly before midnight. We both had been unhappy in our jobs for various reasons for quite some time, so when we lost our jobs, which I now see as a blessing although at the time I was devastated, we started looking outside of Italy for new opportunities. By the time we flew over we had researched housing, grocery lists, medical services, transport and even further education. We felt we knew enough to get by and reach our goals and it helped that they speak English in England – that just makes everything easier! What we didn’t have when we got on that plane was work or accommodation. We were arriving in a new country with only a cabin bag each and hope for a brighter future – a huge leap of faith. NOTE: Parts of this post are taken from an old post I had written at the time of our move, hence all the vivid details. The old blog no longer exists, but I’m glad I saved the entries I had made! We started this new adventure off by spending our first night on the airport, changing our Euros into Pounds and having a very late dinner of Burger King Whoppers at 3 in the morning. We then found a quiet spot near a power socket so we could set up our laptops with an internet connection and start house hunting. At around 6 we enjoyed a delicious breakfast of caffè latte and pan aux raisins before setting off on a coach to London around 8. It was snowing lightly by this time and was quite chilly. The first thing we did was buy sim cards for our mobiles and then made our way to the Travel Information Office in a nearby train station where we got ourselves those all important Oyster Cards (London travel cards) and some maps of the city. For some reason we ventured down into the tube station and took the tube to Clapham Common. Not sure how that came about, Clapham came to mind so we just went with it. We walked around quite a bit, dragging our suitcases through thick snow, looking for agents and houses to rent, but we soon had to run into an internet cafè as the weather was turning bad and we needed to find a place to stay for the night. It’s not much fun dragging luggage around the snowy streets of London after a night without any sleep, but my friend had only recently had knee surgery, so dragging luggage on slippery sidewalks was painful and dangerous too. We quickly found a few potential B&B and Guest Houses. We were soon in a warm room. That evening we continued to call landlords and search for more permanent accommodation. We only managed to book one viewing for the following day. The landlord arranged to pick us up at the tube station which was in the North of the city, we were in the South, so we literally crossed the whole city to go see this house. As I stepped out of the Tube station, I was almost brought to tears by the sight that greeted us: it was a huge Menorah style lamp in the middle of the parking lot. You might be surprised to know that in all my ten years in Italy I had only met 2 other people who were believers and lived their faith. Despite Italy being the home of the Pope, it is a very godless country, so this sight brought joy and relief to my heart. This place was obviously home to many God-loving people to have erected such a symbol in such a public place. The landlord drove up and as we took off to the house I started to cry tears of joy. His stereo was playing Christian worship music! Something I hadn’t heard in a decade unless it came from my own earphones. I was so grateful and started to see how God was working in every tiny detail. This landlord, however, was not the most organised or interested in legalities. Somehow we had found a landlord who trusted us enough to let us have the place on a three monthly contract (which I now know is quite common in London, it renews automatically after three months), even though we had no jobs at the time! He didn’t even take photocopies of our documents or anything. We lived in that shared house with 3 other people. We later realised that the front door was often left open or unlocked and that our bedroom didn’t have a lock on the door, so we were a little concerned about safety, not so much for ourselves, but for our few belongings since we were both unemployed and couldn’t afford to replace things if they went missing. We applied for jobs daily, walked to town about 25min away to do groceries and carried the bags back on foot. We ate a steady diet of tea and a slice of peanut butter toast for breakfast, cup of soup and a slice of toast for lunch and for dinner we’d have a piece of fried chicken, green beans and a salad of tomato and cucumber with garlic salt and olive oil. The incredible blessings I can see in hindsight really amaze me. We were on such a tight budget and really had no assurances of anything. We had to learn to trust God for every tiny detail and rely on Him fully. I didn’t get a job until the third month, just before our fixed term on the room came to an end and we would be free to find a safer accommodation. The job I got was nowhere other than Clapham Common! The same place that we explored on our first day in London! It was on the opposite side of the city, so I had to wake early and make a very long trip across London, but I was already familiar with the area when I resurfaced on the other side. This made everything so much easier. The job I got that first day was only for that day, but the school liked me and had me come back for a week, then indefinitely. I made a connection with the child they had assigned me, so they kept me on and over the next few years she made so much progress and my heart was full. Such a rewarding job! I also had developed a swelling on my right temple years prior, it came and went, always in the same place and always super painful. It would make it impossible for me to open my mouth wide enough to stick my toothbrush in or a slice of bread. I’d have to push the bread in between my teeth and chew until my jaw loosened up enough. The pain woke me up at night and I was a mess. For years doctors couldn’t figure it out, one even prescribed insect bite cream! The blessing in this is that while we lived at that first house, I registered with the local GP and for the first time I found a doctor who cared, was interested and investigated even long after my visit. I’d receive letters and referrals to specialists, until somebody figured out what it was and I was able to get rid of it eventually. Turns out I grind my teeth when I sleep, but this bump, a pocket of fluid collecting due to inflammation, was so high up in my temple that they all ruled it out. I had found my relief. Once I had earned my first salary and our contract was finished, we found a new place close to my work and within the next three month period, my friend also found a job which he loved. He moved to a new city and I initially moved with him, commuting daily, but the plan was to find a suitable accommodation for me to be closer to my work, which is exactly what I did. My fourth accommodation, back in London, was another room in a shared house. This time the flatmates were quite good and all kept to themselves. I felt safe in the house, but the area was not great, so I kept looking for a place elsewhere. By this time I had found my very first church to attend and I was nicely settled in my job. I was thoroughly enjoying my new life and all London had to offer. I finally felt like I was at home. This is where I was meant to be. My next move, about a year later, was into a lovely three bedroom flat with a friend from church. This was another miracle. This gorgeous house was in a posh area, rent was extremely low and the landlord didn’t even want a deposit! They had just refurbished the place and our friends rented a flat downstairs in the same building. The amazing thing is that the landlord allowed my friend and I to live there without a third room mate and only let us pay 2/3 of the rent, giving us three months to find a suitable flat mate! We couldn’t find anybody until the last month one of my other friends from church had to leave her accommodation and was able to move straight in – she even got the room she had loved the day she came to help us move in! God works in such incredibly awesome ways. We lived together for a couple of years before my sister decided to move over to the UK and I moved once again with her. We found a tiny independent studio flat in South London, close to my work. A place where we didn’t have to share a kitchen or bathroom with anybody else. Eventually she only stayed for 6 months before returning to Italy, she never quite felt safe in that place because the landlords were shady and tried to evict us illegally a few times, but I remained in the flat alone and absolutely loved the privacy of a studio flat. For the first time I was completely independent and free to live life as I chose. I went to work, did tutoring and babysitting after work, did exercise, cooked my own meals, cleaned, had a patio to enjoy and a park nearby. I had a routine, life was busy, but it was so good. It was around this time that I started to get the random pains in my body and started picking up every bug that went around the school where I worked. 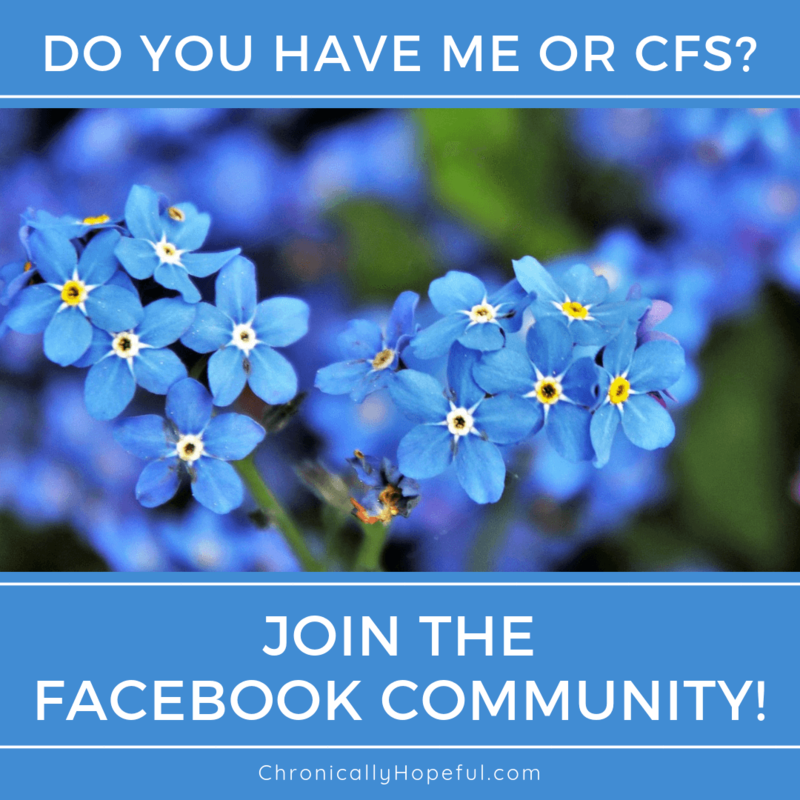 All this eventually led to my ME/CFS diagnosis in 2015. The blessing here was that with the onset of Chronic Fatigue Syndrome, my tiny little flat was perfect for me. It was just a few steps across, so even on my bad days I could relatively easily get to the toilet and even the fridge was right next to my bed! Everything was in one room which was so helpful in my condition. I saw this as God foreseeing what was coming and making sure I had what I needed. Including friends and colleagues nearby and a new neighbour in my building who would become a good friend. My sister eventually moved back in with me. She had come just for Christmas so I wouldn’t be alone, but when she saw how ill I was, she decided to cancel her return ticket and stay on. We still live together and she is my full time carer. We have moved once again and this time right out of London. We have a lovely little house and our parents have since also moved over from Italy to be closer to us. Their immigration story is also full of miracles and blessings. I have such a feeling of peace and freedom knowing how faithful my Heavenly Father is. Knowing that His plans are always good and all I have to do is surrender to His will. This was my story of how God blesses us when we trust Him and His plans for us, even when we see no way. My life was seemingly falling apart, I went from having a beautiful home with a garden in the Italian countryside, to sharing flats in London where over 50% of my salary went to renting a small room and sharing bathrooms and kitchens with 2-4 other people. Some would say that was a step backwards, but that’s not how I see it. My life opened up and I grew in ways I would never have been able to if I wasn’t forced into those uncomfortable situations with strangers. So much good came from it and so much joy! If He calls you, go. If He puts a desire in your heart that you know doesn’t go against His will, follow it! 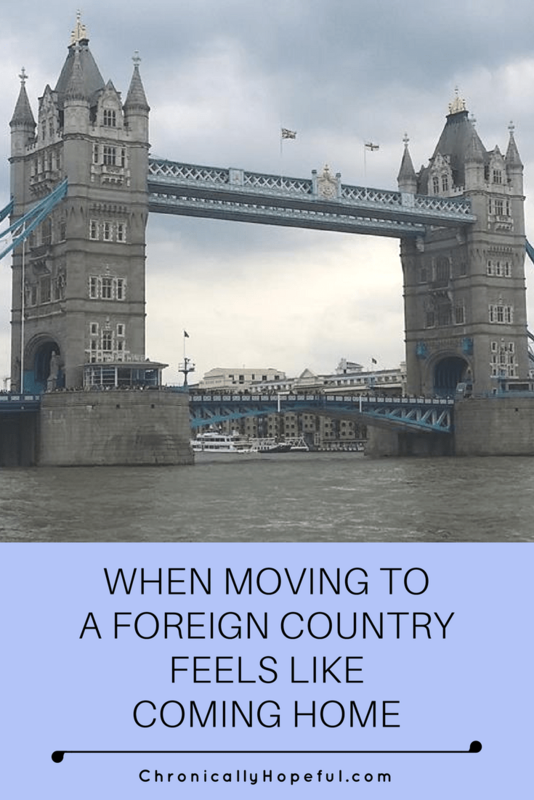 Have you ever moved to a new country? Have you ever travelled somewhere and unexpectedly felt like you’ve come home? Let me know in the comments below, I’d love to hear your story! Thank you so much for this encouragement. I am facing an eventual move but nervous b/c as a chronic sufferer, how will I endure the stress of it? I must trust God and let him bring help to me. I recently moved from the USA to Germany and it has been the best thing I could have done! Even though I am struggling to learn a new language, I still feel very much at home. Glad to hear your move has been so positive for you as well! Moving to a new country certainly has its challenges and frustrations, but it is an exciting adventure. I am glad I have made that move twice now. Each one was very different and provided a completely unique experience. What an incredible story – as someone who has lived in London, I can just picture the various places that you have lived and worked. Obviously I am so sorry that you are a spoonie (like me!) but I am delighted that you feel so comfortable to call here your home. Char – what a beautiful and inspiring story. And, I learned something new – I had no idea that Italy was so godless. You’re right, one wouldn’t think that with the Vatican being there that Christianity would be followed more often. Furthermore, for you to have met only two others who were believers – wow! I’m glad you have found a welcoming home – a home that nurtures the beliefs of you and your family.